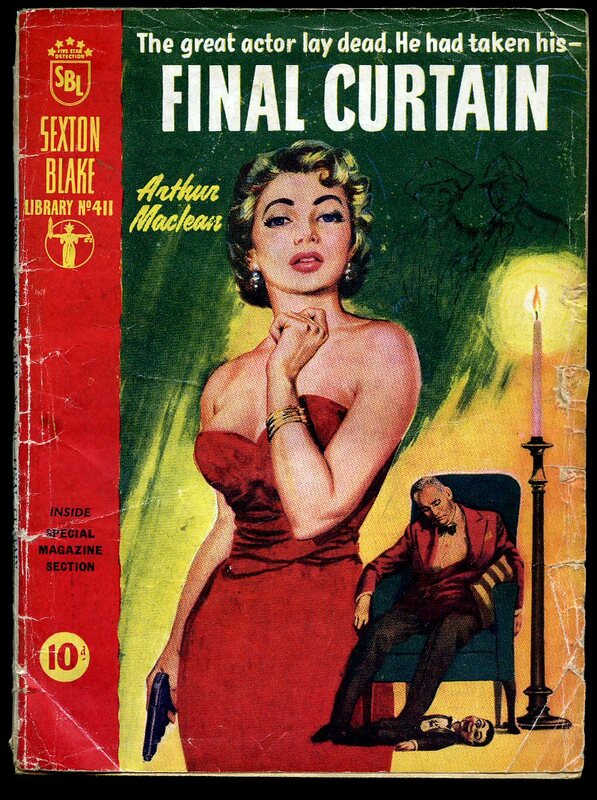 Published by The Amalgamated Press, Ltd., The Fleetway House, Farringdon Street, London [The Sexton Blake Library] First Edition August 1958. 1958. 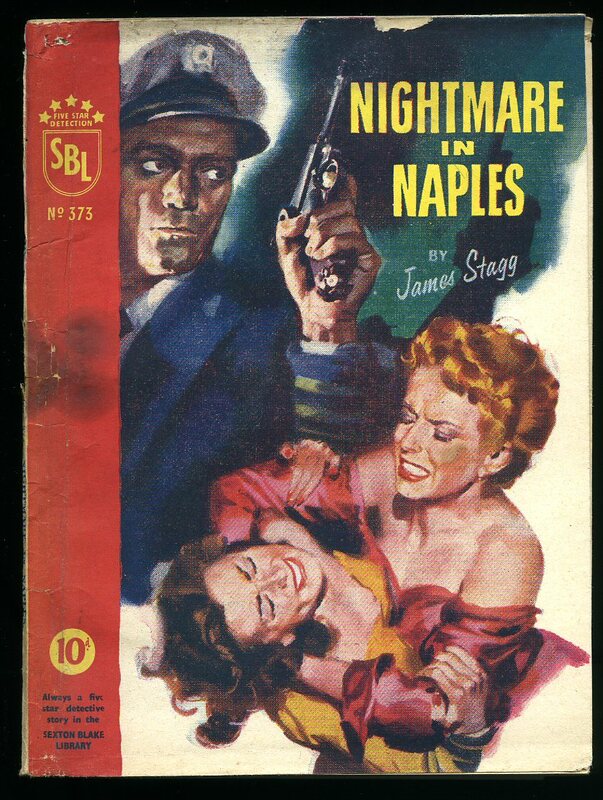 Publisher's original stapled paper covers with period graphic colour art work to the front cover. 7'' x 5¼''. Contains 64 page story, priced 10d. Repaired edge to the front cover and in Good condition. 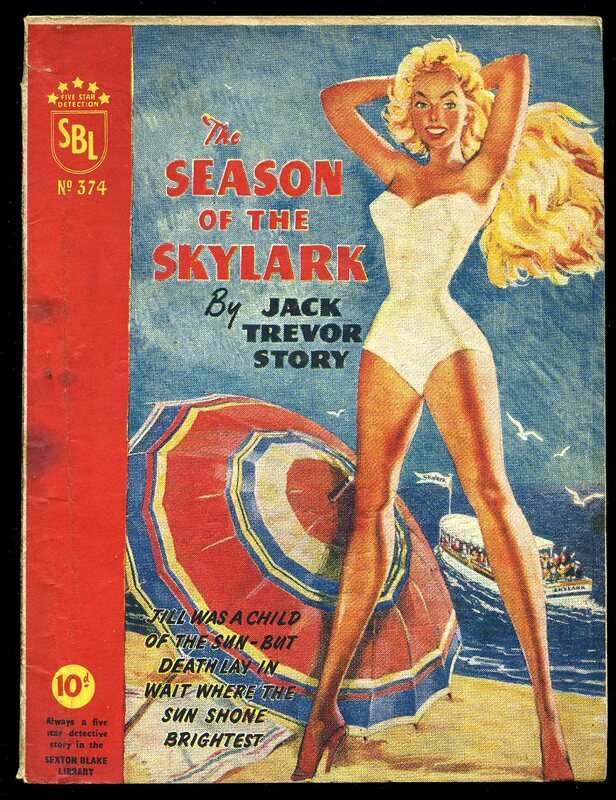 We currently hold in stock 400 other 1930-1960 titles from The Sexton Blake Library. Member of the P.B.F.A. 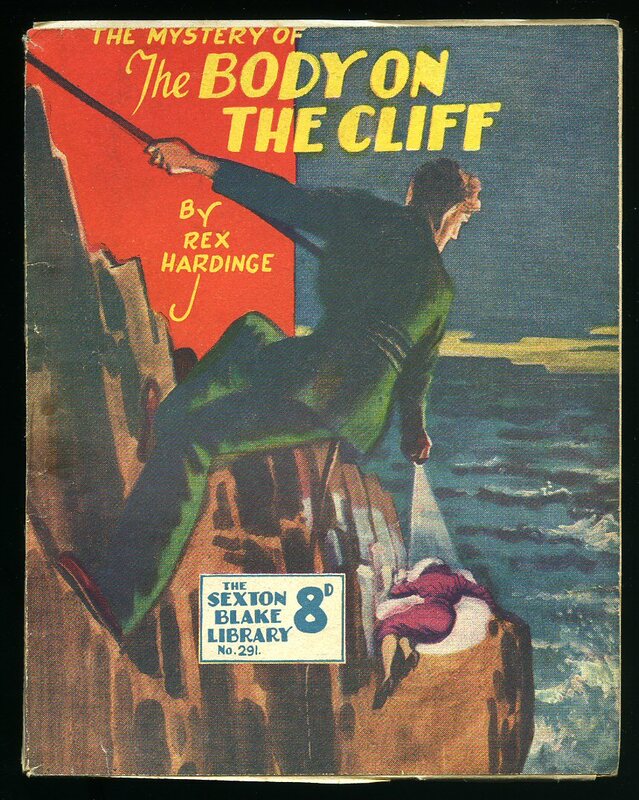 Published by The Amalgamated Press, Fleetway House, London circa 1930. 1930. Publisher's original splendid period colour illustrated paper wrap covers. 8vo 7'' x 5¼'' 64 printed pages. Cheap paper slightly browned to the margins, covers intact, rusty staple, slight spine slant, priced 7d, no dust wrapper as published. Member of the P.B.F.A. Published by The Amalgamated Press, Ltd., The Fleetway House, Farringdon Street, London [The Sexton Blake Library]. 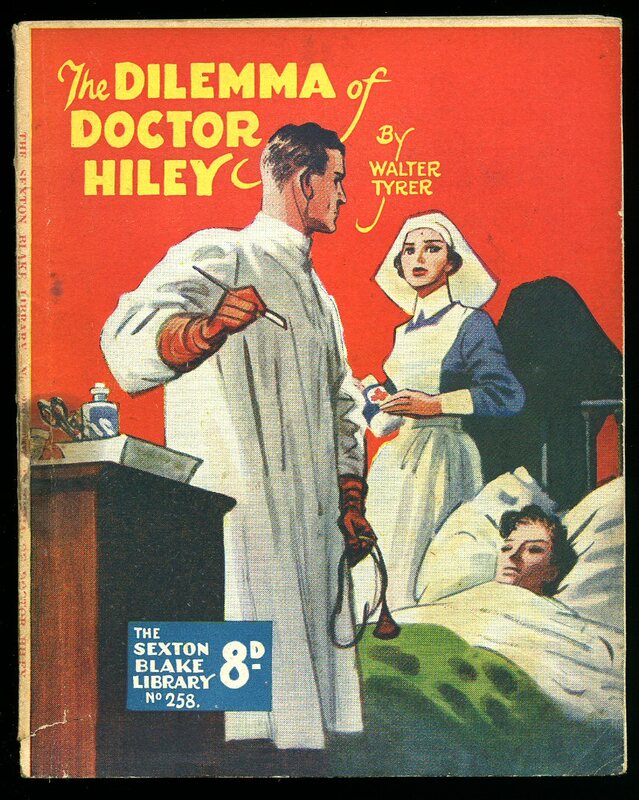 Publisher's original stapled paper covers with period graphic colour art work to the front cover. 7'' x 5¼''. Contains 64 page story, priced 7d. Staple rusty, tanning down the spine. In Good condition. 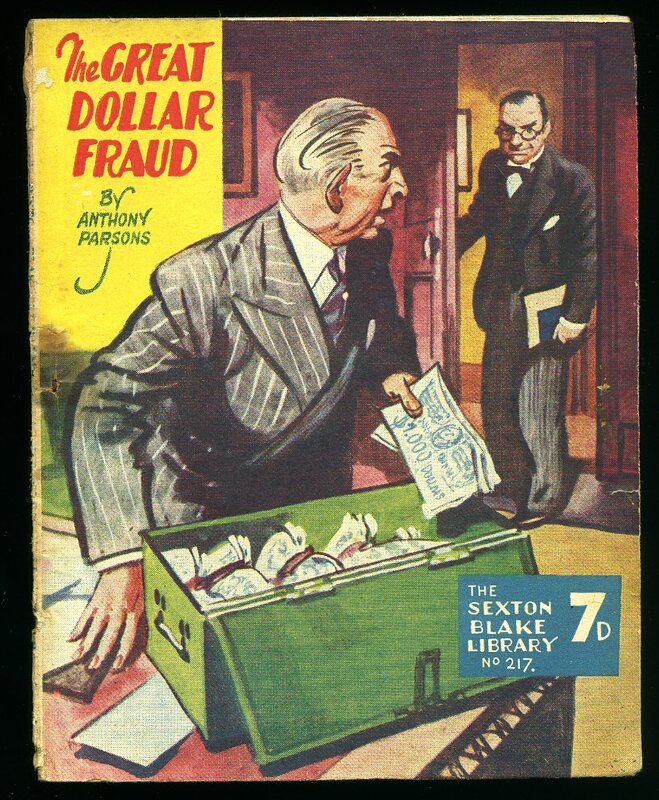 We currently hold in stock 400 other 1930-1960 titles from The Sexton Blake Library. Member of the P.B.F.A. 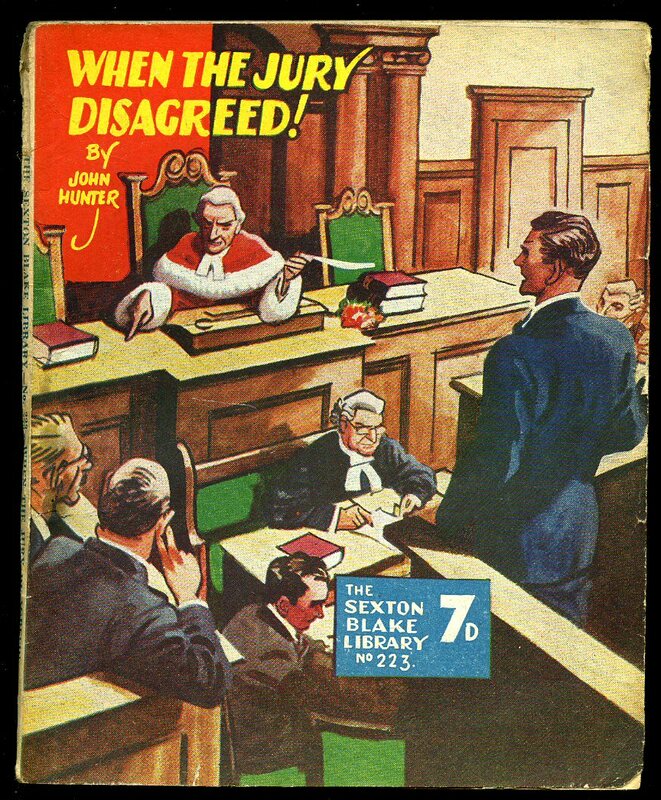 Publisher's original stapled paper covers with period graphic colour art work to the front cover. 7'' x 5¼''. Contains 64 page story, priced 8d. Staple rusty, tanning down the spine. In Good condition. 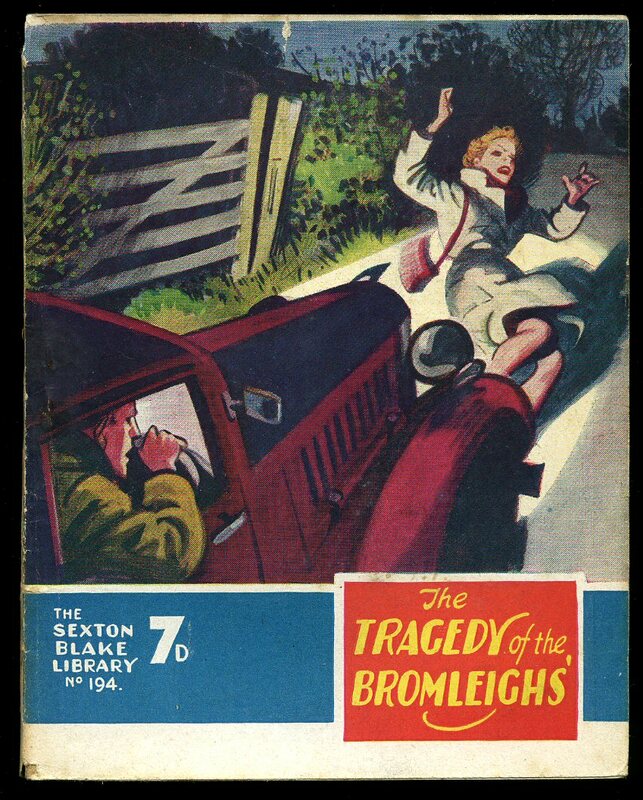 We currently hold in stock 400 other 1930-1960 titles from The Sexton Blake Library. Member of the P.B.F.A. 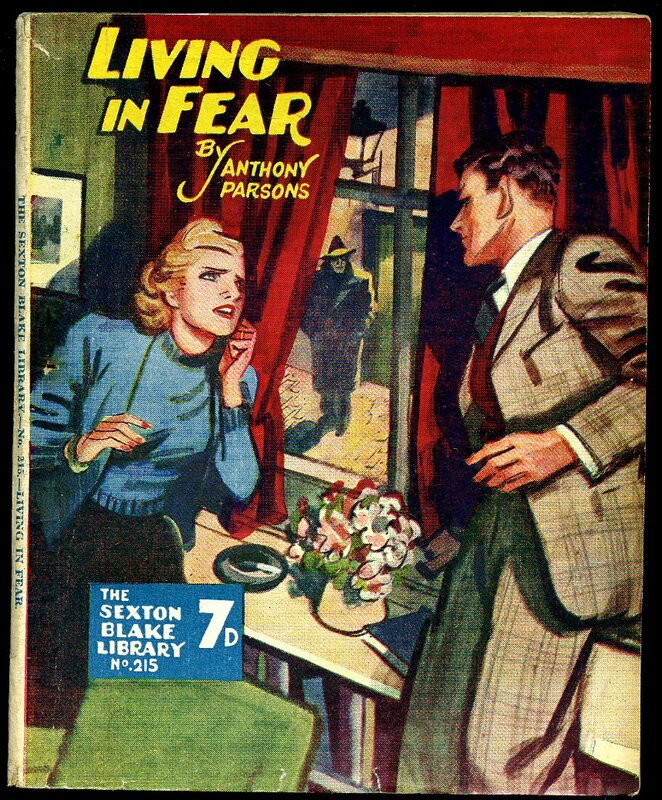 Published by The Amalgamated Press, Ltd., The Fleetway House, Farringdon Street, London [The Sexton Blake Library] New Series 1951. London 1951. Publisher's original stapled paper covers with wonderful period graphic colour art work to the front cover. 8vo. 7'' x 5½''. Contains 64 printed pages of text, priced 8d. One small weep stain and in Fine condition, superb. 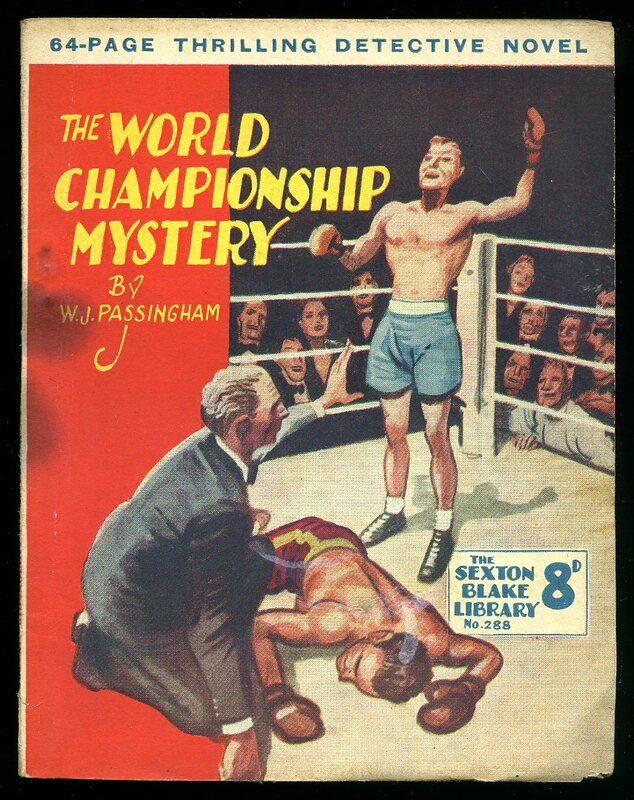 We currently hold in stock 500 other 1930-1950 titles from The Sexton Blake Library. Member of the P.B.F.A. 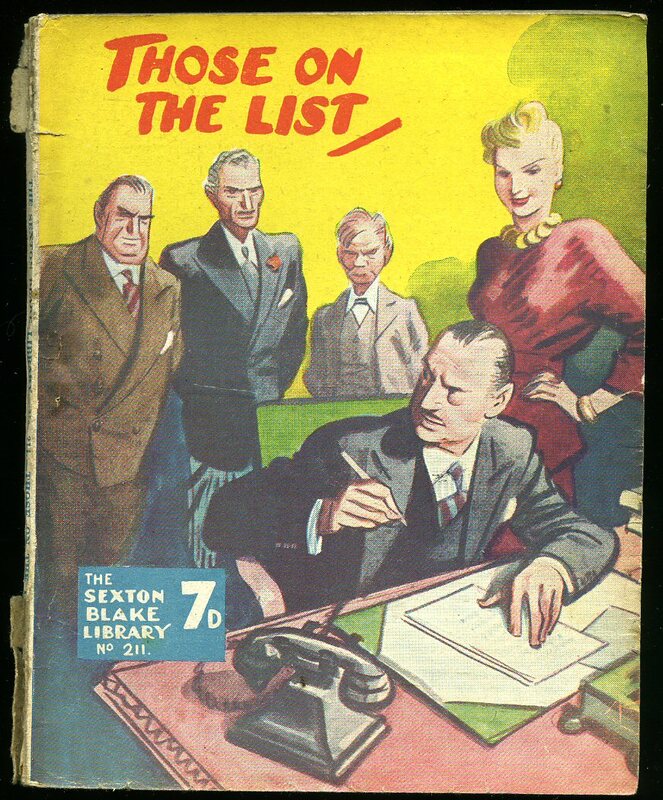 Published by The Amalgamated Press, Ltd., The Fleetway House, Farringdon Street, London [The Sexton Blake Library] June 1940. London 1940. Publisher's original stapled paper covers with wonderful period graphic colour art work to the front cover. 8vo. 7'' x 5½''. Contains 96 printed pages of text. In Fine condition, superb. 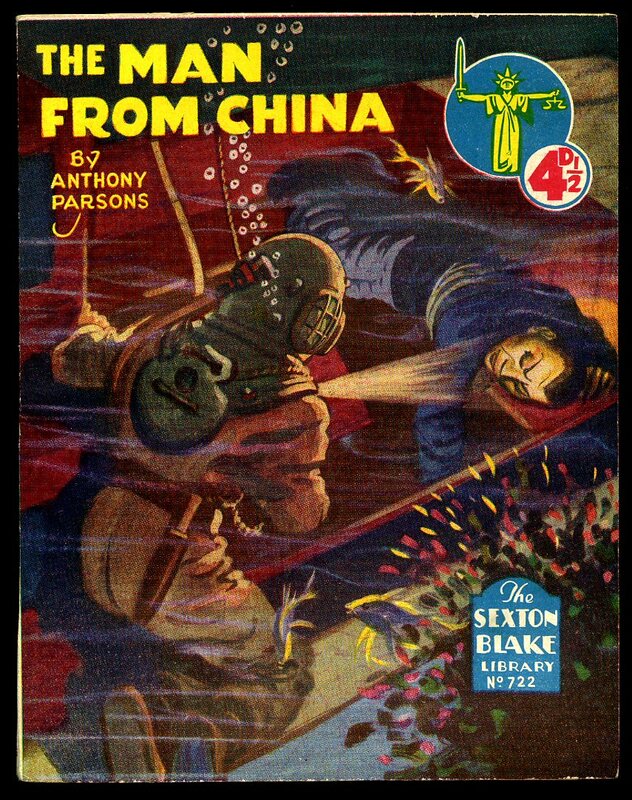 We currently hold in stock 500 other 1930-1950 titles from The Sexton Blake Library. Member of the P.B.F.A. Publisher's original splendid period colour illustrated paper wrap covers. 8vo 7'' x 5¼'' 64 printed pages. Cheap paper slightly browned to the margins, covers intact, no tears, rusty staple, slight spine slant, priced 7d, no dust wrapper as published. Member of the P.B.F.A. Publisher's original splendid period colour illustrated paper wrap covers. 8vo 7'' x 5¼'' 64 printed pages. Cheap paper slightly browned to the margins, covers intact but with 30 mm repaired tear to the head of the spine, slight spine slant, rusty staple, priced 7d, no dust wrapper as published. Member of the P.B.F.A. Publisher's original splendid period colour illustrated paper wrap covers. 8vo 7'' x 5¼'' 64 printed pages. Covers intact, rusty staple, no spine slant, priced 7d, no dust wrapper as published. Member of the P.B.F.A. Publisher's original splendid period colour illustrated paper wrap covers. 8vo 7'' x 5¼'' 64 printed pages. Cheap paper slightly browned to the margins, covers intact but with 30 mm repaired tear to the foot of the spine, slight spine slant, rusty staple, priced 7d, no dust wrapper as published. Member of the P.B.F.A. 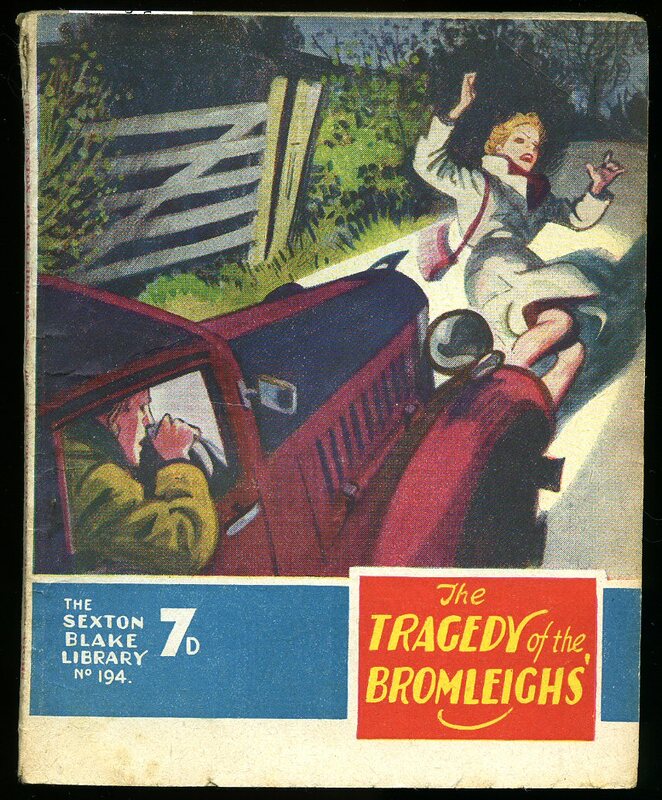 Published by The Amalgamated Press, Ltd., The Fleetway House, Farringdon Street, London [The Sexton Blake Library] First Edition, January 1957. 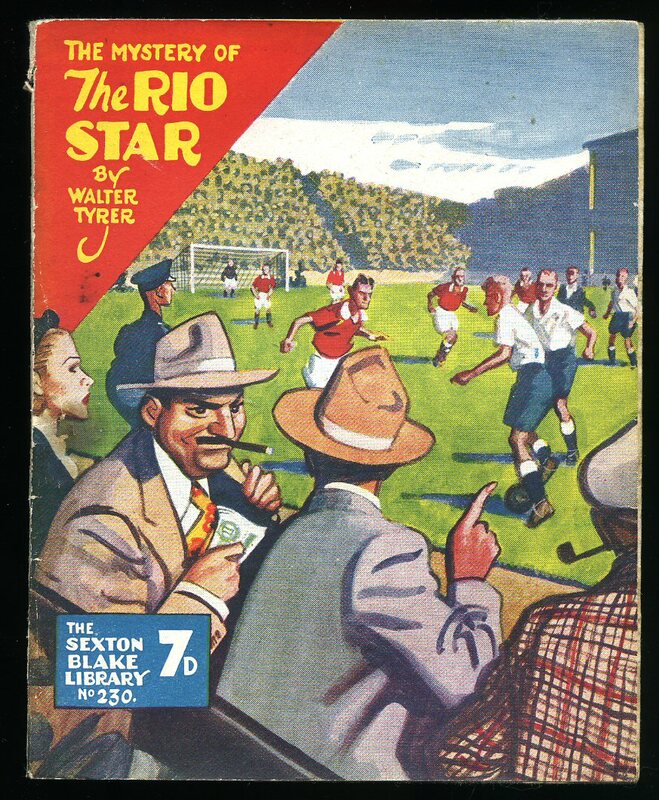 Publisher's original stapled paper covers with period graphic colour art work to the front cover. 7'' x 5¼''. Contains 64 page story, priced 10d. Staple rusty, tanning down the spine. In Good condition. 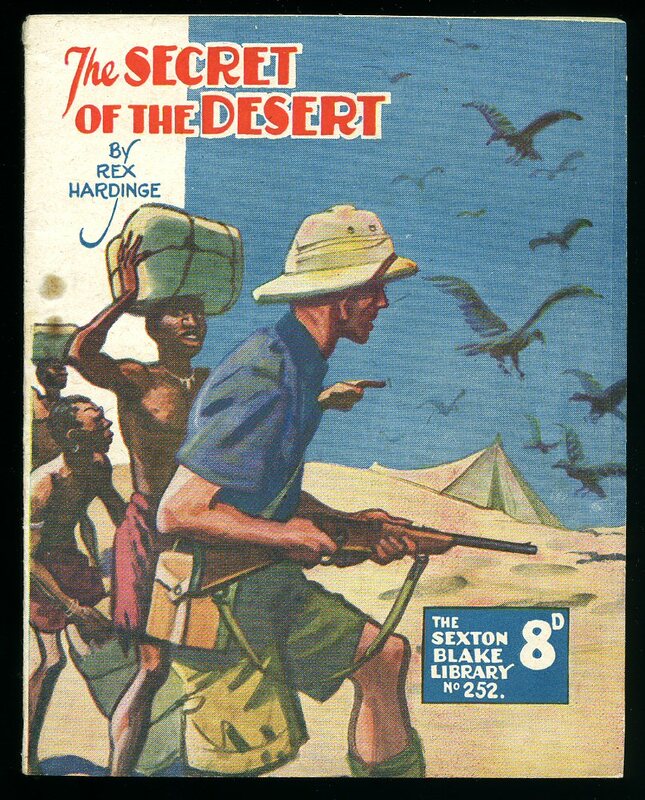 We currently hold in stock 400 other 1930-1960 titles from The Sexton Blake Library. Member of the P.B.F.A.